Welcome back to our Blog…today’s featured recipe comes from a talented cook, Donna Greenleaf, from Pratt, Kansas. We have featured some of her other recipes in our Adrian’s E-Newsletters, and she certainly knows her way around the kitchen! 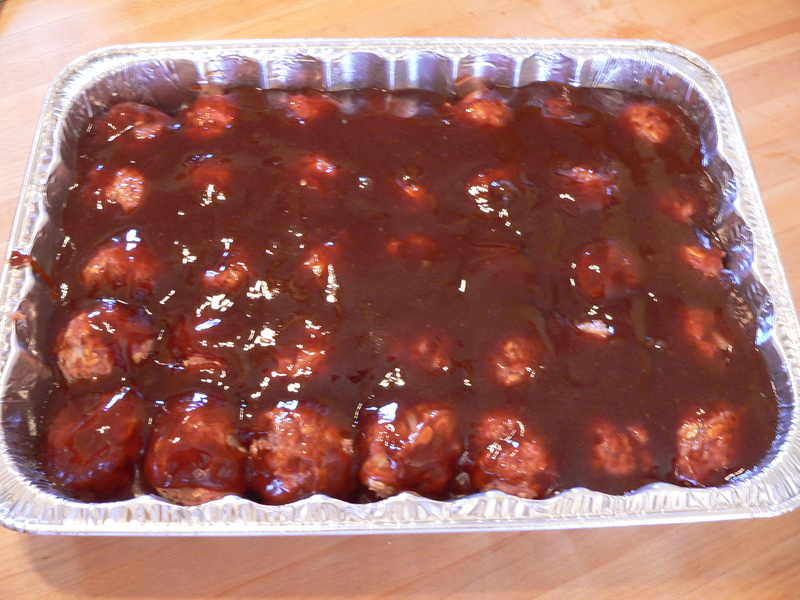 Hope you will enjoy these deliciously sweet meatballs. Perfect freezer dish! 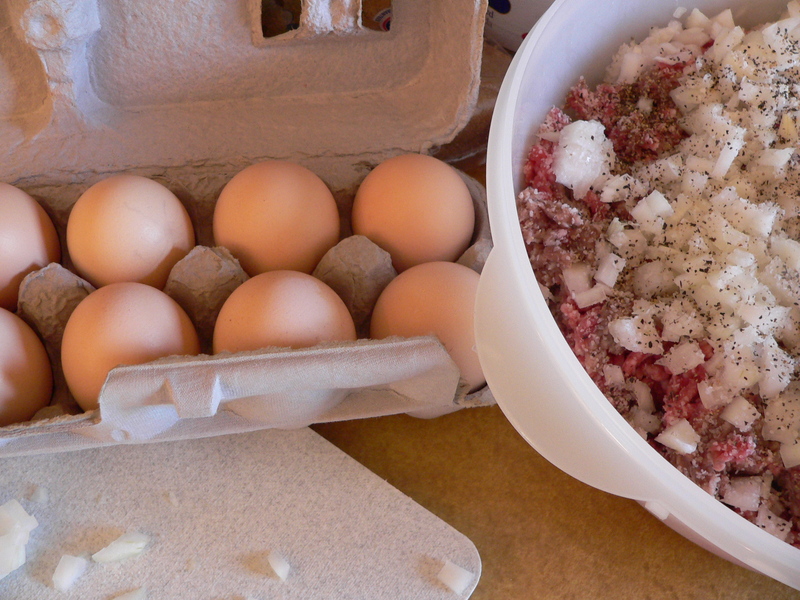 Divide up the recipe for a “eat some now, freeze some to give away or serve later” kind of meal. I had such a sweet note from a friend, Shirley Grose, from southern California..”…I also just printed off the chicken salad recipe and the chicken enchiladas. I do cooking for sick people in our church from time to time–new moms, people who are down on their luck, etc., so I want to make some of these recipes and package them in those freezer pans with cardboard lids, in quantities that would feed the # of people in their families (i.e. 2 parents; 1 kid), etc. These recipes are giving me new ideas.” This is EXACTLY what I wanted to happen with our recipe Blog, newsletters, etc. Homemade food is such a blessing to families or individuals. Thank you for your compassion and willingness to serve Shirley! 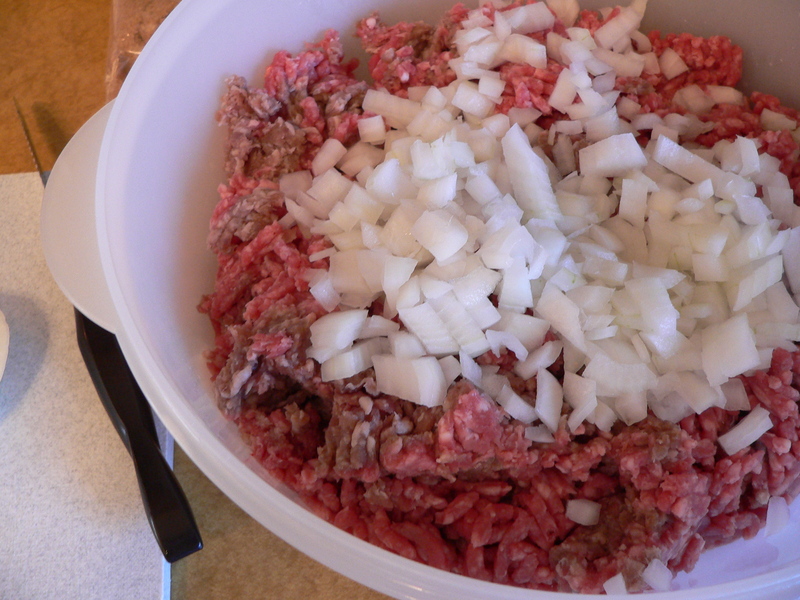 This is such a simple recipe…just mix up all of the meatball ingredients together in a large bowl. Squish it really good and mix thoroughly. Then form into meatballs. 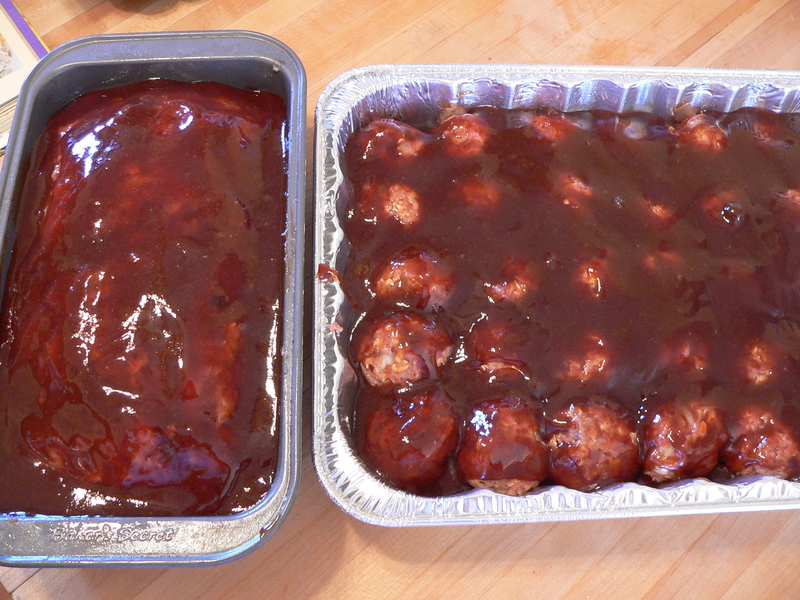 Line them up in a single layer in a 9 x 13 pan. We actually made about 1 1/2 times this recipe and made a meatloaf out of about a third of the mixture. We decided to make a Meatloaf too! Mix up the sauce and pour over meatballs. Bake at 350 for about an hour.This will be delicious served with a potato casserole, over rice, and a perfect dish to share at a Potluck or to share with another family. YUM! Thank you Donna for sharing your recipe! 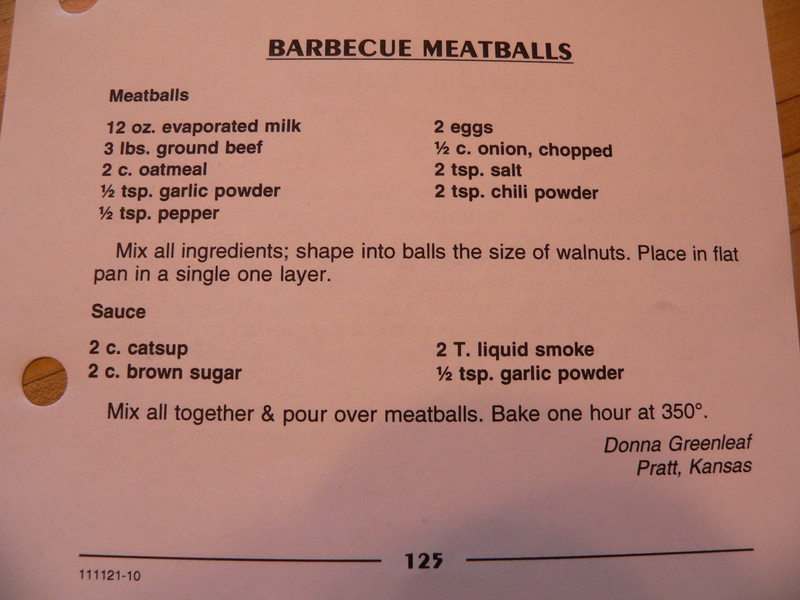 Mix all ingredients; shape into balls the size of walnuts. Place in a single layer in a 9 x 13 pan that has been sprayed with non-stick spray. Mix all together and pour over meatballs. Bake for about one hour at 350 degrees. *Note: If frozen, allow to thaw in the refrigerator for about 24 hours, then bake as directed or until bubbly. Click Here for Easy Print Recipe.